It’s a big week for our guest today. 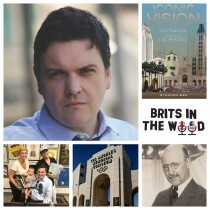 After nearly ten years of research and dedication, his documentary – ‘Iconic Vision – John Parkinson, Architect of Los Angeles’ premiered on PBS and tells the story of a Brit who created over 400 of Los Angeles’ most iconic structures, including City Hall, The Coliseum, Union Station and Bullocks Wilshire. Move over Russell Brand, there’s a new British comedy rock star taking over America. He pushes boundaries, he’s full of fun and has a lot to say. Jeff Leach is an award-winning actor, comedian, writer, TV host, podcaster, gaming superstar and has made some rather eye opening documentaries. 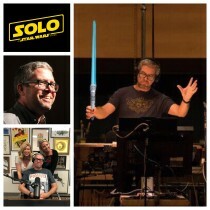 Show 58 – John Powell The Musical Force Behind Solo: A Star Wars Story John Powell has just finished the score for Solo: A Star Wars Story but has also composed the scores to over 70 feature films. If film composers were movie stars our guest today would be Brad Pitt or Tom Cruise. They don’t get much bigger than John Powell. He is particularly known for his scores on animated films including: Antz, Chicken Run, Shrek, Happy Feet, Ice Age and How to Train Your Dragon – for which he was nominated for an Academy Award. But he has also scored many live-action films including the Bourne films, United 93, Green Zone and X-Men: The Last Stand. American Idol spawned the careers of Kelly Clarkson, Carrie Underwood – and made a huge star of Ryan Seacrest… as well as seating J-Lo, Katy Perry – and of course, Simon Cowell, on the judging panel of the music talent show. 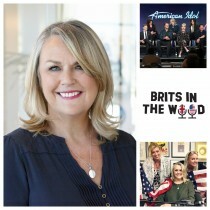 At the helm of the television juggernaut is Trish Kinane – the executive producer of Idol as well as America’s Got Talent. 56: Kathleen Rose Perkins – The Episode with Carol from Episodes! She’s everyone’s favourite flawed TV executive on Showtime / BBC2’s brilliant TV series Episodes starring alongside Matt LeBlanc. The show is about a British husband-and-wife comedy writing team who travel to Hollywood to remake their successful British TV series. Matt LeBlanc portrays a satirical version of himself after the success of Friends and Kathleen plays the super ambitious show executive who is second-in-command at the network.